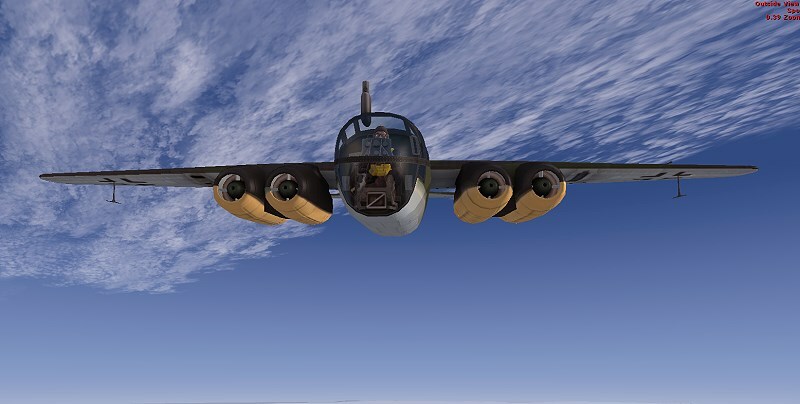 Arado Ar 234 was the world’s first operational jet-powered bomber, built by the German Arado company in the closing stages of World War II. Produced in very limited numbers, it was used almost entirely in the reconnaissance role, but in its few uses as a bomber it proved to be nearly impossible to intercept. It was the last Luftwaffe aircraft to fly over England during the war, in April 1945. The Ar 234C was equipped with four BMW 003A engines, mounted in a pair of twin-engine nacelles based on those from the eighth Ar 234 prototype. The primary reason for this switch was to free up Junkers Jumo 004s for use by the Me 262, but the change improved overall thrust, especially in takeoff and climb-to-altitude performance. An improved cockpit design, with a slightly bulged outline for the upper contour, also used a much-simplified window design for ease of production. Airspeed was found to be about 20% higher than the B series and the faster climb to altitude meant more efficient flight and increased range.